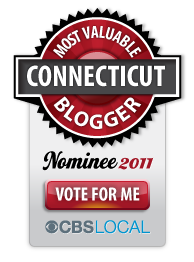 I noticed last week that several of my blogging friends were posting about their #WOTY. It's not exactly the same idea as what you'd find named as the Word of the Year for say, 2013 (I've read that "Selfie" is the word of the year.) It's our own personal theme, or special word that will be a focus, or reminder. I remember certain years at work, some of my associates had goals prominently displayed on their desks as their motivation. I'm all for that. My desk has travel photos from France and a small artifact from Tuscany. This isn't the same as a goal or motivation. It's a reminder of what's important. It took me all of 5 seconds (or possibly less) to pick mine. It was on my wrist. I come from a HUGE family. You have no idea. (But here's a clue - between both sets of grandparents, they had 20+ children! I have A LOT of aunts & uncles, and an even larger number of cousins!!!) I only know 2 other people who have bigger families than mine, and they're both French-Canadian like we are. For me, Family is about selflessness, love, generosity, responsibility. I come from an amazing family who is always there for each other. Who share their time and talents generously. Who give their kidneys to save each other. I kid you not - this has happened three times that I know of! They take care of each other. I have had the best role models I could possibly ask for. I try to raise my own children with the lessons they've shared with me. In my life, I consider there to be 3 branches of family. First is that by blood & marriage. It is our extended family, our nuclear family (and even the exchange student we hosted until a few weeks ago, who feels like my 3rd child and the other two consider a big brother.) Another is my work family. Some of these people I've worked with for 13 years and we've been through a lot together (births, deaths, weddings, divorces, tears & laughter.) Last is my community and friends family. You know how you have some people who you are just connected to, who feel like family but aren't actually related. This community also rallies around you when things are tough, brings meals and offers of babysitting. I am so genuinely grateful for the people who are or feel like family to me. Life can be short, and I don't always express how much I appreciate others. 2014 is a year to honor and celebrate family and to care for one another. Family. My Word of the Year.